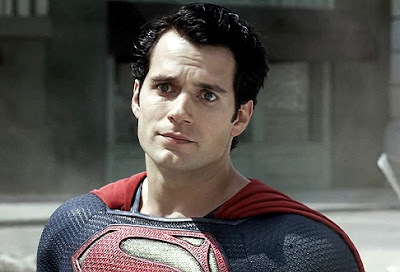 While recording out last episode on Superman: The Movie, Ellie and I commented on the various sequels and spin-offs, eventually getting into a little debate about the merits of Zack Snyder's Man of Steel. I wrote about the movie a while back, but here we get Ellie's perspective. While brief, the discussion ran a bit too long for the episode and had to be trimmed down but we thought it would be interesting to present it uncut here as everyone gears up for the sequel, Batman v. Superman. Be advised if you haven't seen Man of Steel yet, we do get into some spoilers. Enjoy. I agree with both of you. I don't love the film, but I also don't hate it, and there are many segments that I think are very well made, which furthers my belief that Snyder is indeed growing as a filmmaker with each film. My two major issues are Pa Kent - which is a compelling setup, but the lack of an adequate payoff does sour it - and the tonedeafness of the climax. I don't have a problem with anything that is in the climax, including Superman killing Zod. My problem is what isn't there, that we don't see an actual humanization of the devastation as, Perry and Jenny aside, we never see any people on the streets or in the buildings dealing with what's happening around them. Yeah, the next film starts off with that, but it still doesn't make it any less lacking here. But I do like it. The cast is great, I like some of the themes and ideas it explores. I like that grim and conflicted Supes is balanced out by him having genuinely warm and light moments. The film also looks gorgeous and is wonderfully shot and edited. I do disagree with the criticisms of Shannon as Zod. I loved his Zod. I like that he's not supposed to be menacing and evil, he's just ideologically opposed. He's a seasoned soldier dedicated to the society that created him, and everything he's doing in the third act is to preserve and rebuild what's been lost. The anger, the zealotry, but also the weariness at this burden he's hoisted on his own shoulders. I found all of those aspects very compelling, and Shannon delivered them well. With Zod, I really like the idea they're pushing that he believes himself to be totally in the right and is protecting Krypton as he sees it. I just find that Shannon's performance, or perhaps how he's directed, doesn't totally jibe with it. Shannon is so good when he's underplaying roles (his most recent performance in Midnight Special is a great example) that when he's suddenly screaming maniacally here, such as when he's being sentenced to the phantom zone, it feels jarring, as though there's no scale to it. Even his quieter line deliveries here feel somewhat forced, as though he thinks he has to heighten his performance to match everything going on around him. His last scene mourning over the dust of the destroyed Kryptonian ship is his best and it really makes me wish his performance worked better for me.